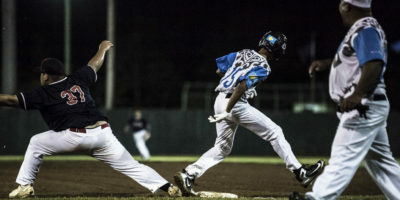 A rain out in the 4th inning of the gold medal game granted Australia the gold medal of the U18 WBSC Regional Championships against American Samoa. 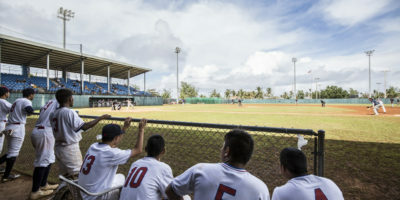 Guam would finish bronze after losing to American Samoa in the afternoon game. 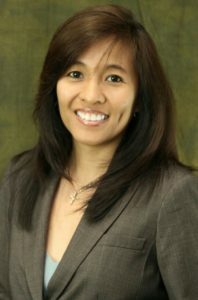 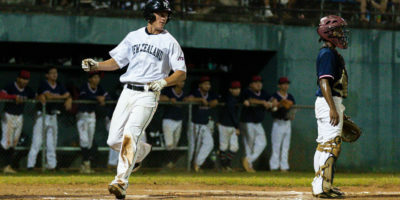 After coming off a nail-biting 7-6 win over Palau, New Zealand would suffer their first loss of the tournament to American Samoa, the tourney’s lone unbeaten team, in the afternoon game. 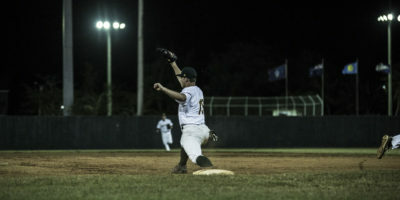 Australia went 11-0 in the evening game against Guam to pick up their first win of the tourney. 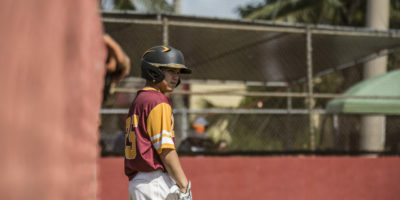 Day 2 of the WBSC U18 played under much more favorable weather conditions as American Samoa, Australia and New Zealand all took the field during Wednesday’s games. 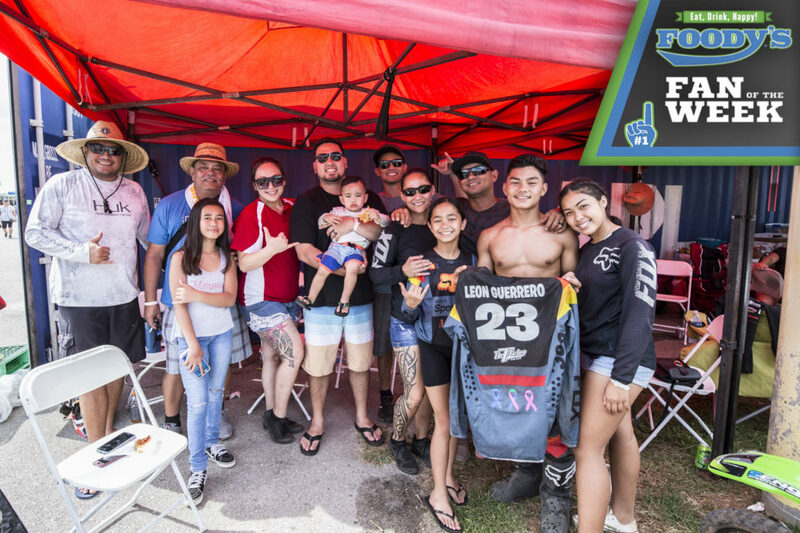 Guam picked up a win over Palau due to a technicality, but fell to New Zealand in the late game. 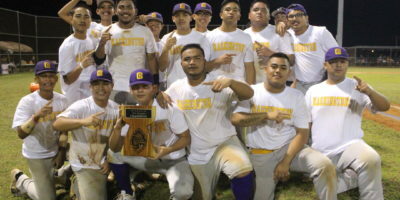 The GW Geckos are champions of baseball for the third time in four years after completing a perfect playoff sweep, beating the Sanchez Sharks 6-4 while holding off a furious rally at the Okkodo Field Saturday evening. 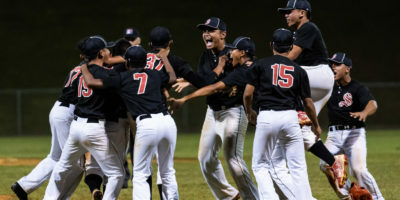 The Sanchez Sharks fell back on their defense during Wednesday evenings IIAAG Baseball playoff game against the FD Friars, knocking off the defending champs out of title contention in a closely contested 6-5 game at the Okkodo Field. 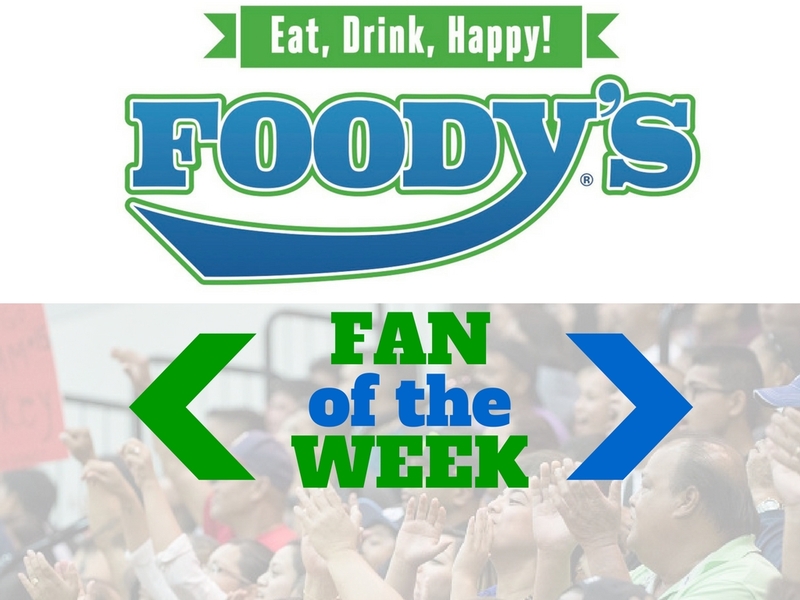 The two teams with the best records through the 2018 IIAAG season played for their playoff lives Monday with the FD Friars grabbing a one-sided win over the Guam High Panthers. 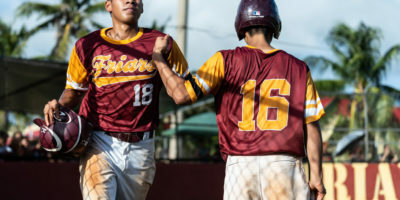 Looking to recover from their loss against the GW Geckos Wednesday, the Friars started strong in their first appearance in the loser’s bracket of the playoffs. 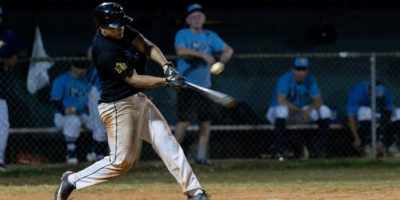 Thanks to a stellar pitching core and consistent batting, the Friars move on after a 10-3 victory over the Southern Dolphins.